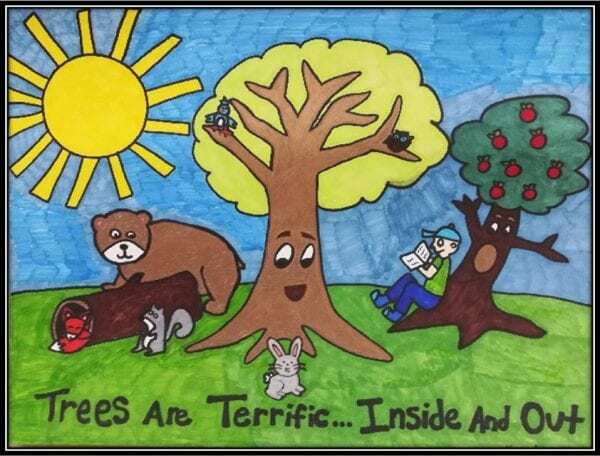 Check back for updated information about the 2020 Arbor Day Poster Contest. 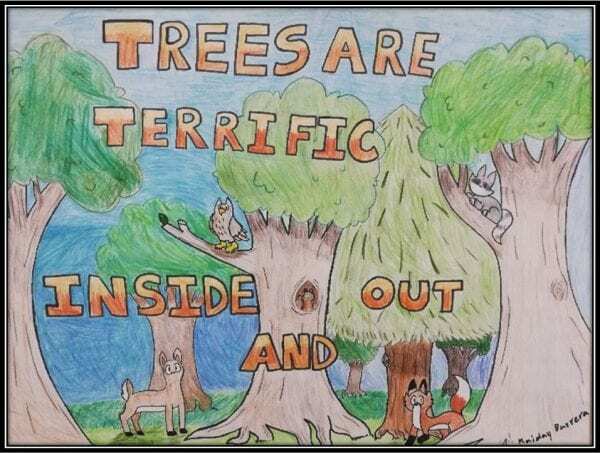 Posters must be the original work of a student currently in the fifth grade. The use of cartoon characters or television, movie, or sports figures is not acceptable. The use of business or company names should not be included on the poster. All artwork must be finished and the artist’s signature must be in the lower right-hand corner on the front. Please include the entry form on the back of each poster. Check back to download the 2020 entry form. One winning poster from each school will be accepted. 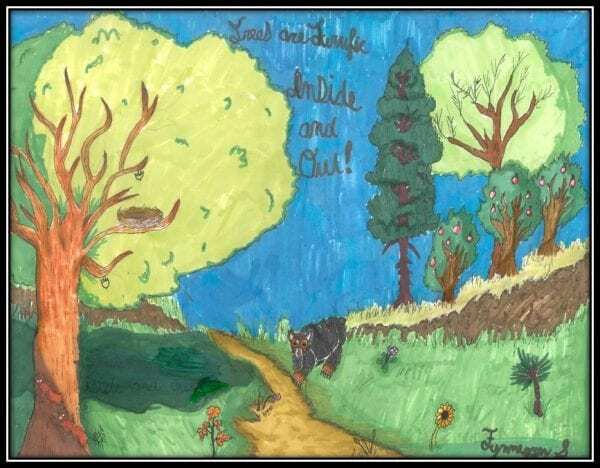 Posters must be complete–signed and submitted with the School Winner Report Form. Check back to download the 2020 School Winner Report Form. Create posters in one of the specified mediums and within the correct size limits. Posters may be done in marker, colored pencil, crayon, watercolor, ink, acrylic, tempera paint, or paint pen. They may be any size between 8.5×11” and 14×18”. Computer generated art and printing is not acceptable. They must be reproducible–no collages please (collages include anything glued to the poster). Posters must be flat. Folded, matted, mounted, laminated, or framed posters are not acceptable. The theme must be on the poster. Check back for an update on the 2020 theme. Click here to view available activity guides and educational resources. The deadline for entries is February 10, 2020. Late entries will not be accepted.